Federal Bureau of Investigation (FBI) has been authorized by U.S Congress to hire 2,000 new employees this year, and many of those will be young hackers and Programmers in order to built-up its cyber crime division, but FBI’s Director ‘James B. Comey’ is facing some difficulties. Apparently, FBI’s Strict Anti-Drug Policy is making it very difficult for them to go after real criminals because most of the hackers have a fondness of smoking weeds, illicit drug. According to US agency policy, they won’t hire anyone who used marijuana in the last three years, but it seems that now the law enforcement agency has to think about deviating from its own policy to get right talent to tackle cybercrimes over the Internet which has become a first priority for the agency. Recently, During an annual conference held at Manhattan's New York City Bar Association, One attendee asked James B. Comey that -- One of his friend who considered an FBI job but ultimately did not apply because of the marijuana policy. So, Would FBI move on from this outdated anti-marijuana policy that is complicating its efforts to fight cybercrime? But Comey replied, “He should go ahead and apply,” despite the marijuana use, which gives clear signal that FBI could possibly bring changes to those strict rules very soon, in order to overcome the troubles in recruiting qualified programmers and hackers. Although marijuana is illegal under federal law, 21 states have legalized only medical marijuana. Such move will definitely put a higher priority on investigating cybercrime, “I have to hire a great workforce to compete with those cyber criminals and some of those kids want to smoke weed on the way to the interview,” Comey said, according to the Wall Street Journal. 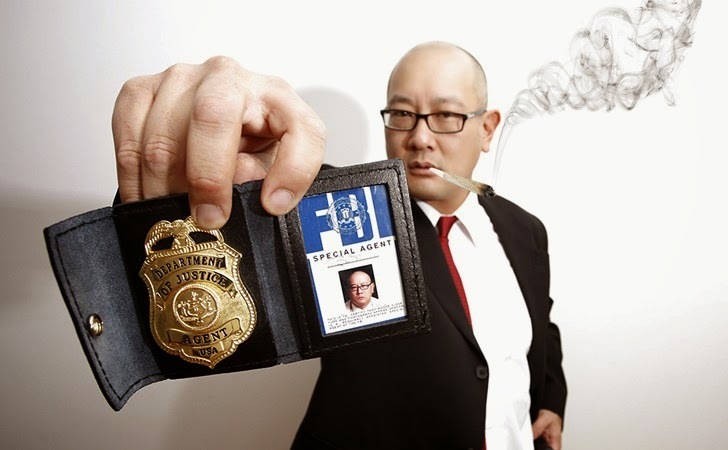 'It does look like our friends in federal law enforcement are warming up to the idea of hiring people that like to take part in a fun activity that's legal in two states and practically legal in many more, though.' Adam from Gizmodo commented. Mr. Comey also commented on the federal agency’s efforts in combating white collar crime, and 1,300 agents currently investigating 10,700 white collar crime cases worldwide. The director also said the number of corporate fraud cases being investigated has jumped 65-percent since 2008. At this moment, one can not predict that in future the FBI anti-drug policy would change or not, but it’s clear that being conducting International raids on the cyber criminals and those involved in the malware purchasing, selling or using, the agents need more employees to tackle the Cyber World. After media reports, The FBI Director Comey explained his statement, “I am absolutely dead-set against using marijuana,” and “I did not say that I am going to change that ban.” He is against using marijuana, but pot-smoker can apply for cyber security jobs.